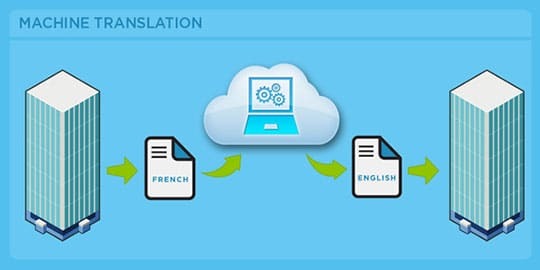 When translation and technology are mentioned in the same breath, many people’s thoughts turn immediately to machine translation – the process whereby a computer program translates a text from one natural language into another. Machine translation has been around for more than fifty years, and the quality of machine translation output has improved considerably over that time. There are apocryphal tales of early machine translation systems that translated “hydraulic ram” into the French equivalent of “water goat” and “The vodka is good, but the steak is lousy.” Machine translation errors are not entirely a thing of the past, but they are certainly less common and considerably less outrageous than in previous times. First, advances in technology mean that it is possible to build larger databases of lexicons, grammar rules, and even extra-linguistic knowledge. This advance cannot be understated not until very recently has there been a corpus of massive human expression in written form. With millions of web pages and thousands of websites serving the basis of this human big-data there is an endless supply of input for the neural networks to feed from. Social networking sites like Facebook, Twitter and the like also provide up-to-date social lexicons and norms that get out of data quickly in print format. Many of these online resources include picture and in some cases sound/video. As rich media encoding improves this provides another massive source of content for machine learning inputs and classifications. Second, an improved understanding of linguistics means that relevant rules can be encoded more easily and controlled languages can be developed to reduce ambiguity. This statistical improvement or classification wouldn’t be possible without massive inputs described earlier, thus laying the groundwork for machine cognition. Third, better comprehension of the strengths of machines has led to new approaches to machine translation, such as statistical and example-based approaches to machine translation, such as statistical and example-based approaches. Ironically these statistical models were first developed in 1980’s but didn’t have sufficient input data to build inferences from. Finally, more reasonable expectations on the part of users mean that they no longer look for machines to be able to tackle any subject matter and produce fully automatic high-quality output. Instead, systems are being developed to operate in restricted domains that use a limited range of syntactic structures and vocabulary. In addition, pre and post editing are accepted as the norm, and some users are satisfied with the output that simply allows them to get the gist of the source text. Nevertheless, when translations need to be disseminated to a wider audience, the quality of unedited machine translation output is usually not acceptable. Although advances in machine translation continue to be made, for the foreseeable future at least, human translators will still have a large role to play in the production of translated texts. This is not to say, however, that there is no role of technology in the translation process; in fact, quite the opposite is true. However, the focus has shifted away from the notion that machines should be designed to replace human translators and is now firmly concentrated on the ways in which machines can support human translators. It has therefore become common to draw a distinction between human-assisted machine translation (HAMT) or more commonly Machine translation (MT), and machine-assisted human translation (MAHT). MAHT is also known as machine-assisted translation (MAT) or simply as computer-aided translation (CAT). In the broadest definition, CAT technology can be understood to include any type of computerized tool that translators use to help them do their job. This could encompass tool such as word processors, grammar checkers, e-mail, and the World Wide Web (WWW). While these are certainly valuable, possibly even indispensable, tools for a modern-day translation, they will not be treated within the scope of this article. Tools such as these are rapidly becoming part of our general knowledge. People in many professions, not just by translators, use them. In addition, their use commonly extends beyond the professional world – word processors and email are used for personal correspondence, the WWW is used for research hobbies, and so on. In short, most translation students will have encountered these tools in some capacity and will be familiar with many of their features. For students who are not familiar with them, a wealth of excellent literature is available; including some that is aimed specifically at translators. Some of the technology that is described in this article also reaches beyond the translation profession proper. For instance, optical character recognition (OCR) and voice-recognition technology can be used by anyone who wants to convert data into electronic form. Ashley Harris is the Outreach Coordinator from ConnectTheory who is working closely with Verbal Ink on the content development & refinement. In her free time, she enjoys hiking and reading books.